Sharaba Fire Lab- This Fire Lab is very powerful to destroy negativity of all forms- whether negative energies, health problems, people or situations impacting your life. Sharaba is the most ferocious Archetype who can guard you as your protector. 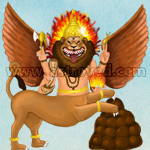 The Sharaba Homa (Fire Lab) invokes Lord Sharaba as the chief archetype. He is a fierce incarnation of Lord Shiva and is invested with immense powers to protect all those who seek succor from worldly problems. The powerful spiritual energy generated from this Fire Lab envelops our surroundings and cleanses our auras of the negative energies bogging us down. Seek the blessings of this powerful deity and enjoy good health, get rid of misfortunes and neutralize curses that haunt your day-to-day life. Reap the benefits of this Fire Lab and inculcate in yourself a sense of wellbeing for a more meaningful existence. 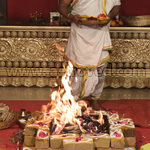 This Fire Lab is performed by Vedic specialists who possess immense knowledge and spiritual power to conduct the proceedings. The mantras and chants are recited with deep devotion and humility to achieve optimal results. 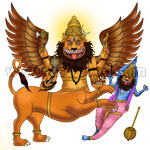 Panchami and Trayodashi Tithis that fall on Mondays, especially during the Rahu Kalams, are considered perfectly suitable to perform the Sharaba Homa. This Sharaba homa (Fire Lab) performed for 6 months, once a month, invokes the protection blessings of Sharaba, the King of Birds. 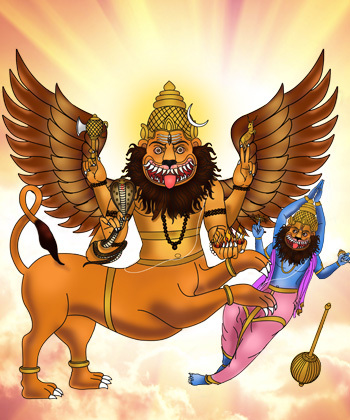 Sharaba is the most ferocious Archetype who can guard you as your protector. This homa is powerful to destroy negativity of all forms- whether negative energies, health problems, people or situations impacting your life. This Sharaba homa (Fire Lab) performed for 12 months, once a month, invokes the protection blessings of Sharaba, the King of Birds. Sharaba is the most ferocious Archetype who can guard you as your protector. This homa is powerful to destroy negativity of all forms- whether negative energies, health problems, people or situations impacting your life.